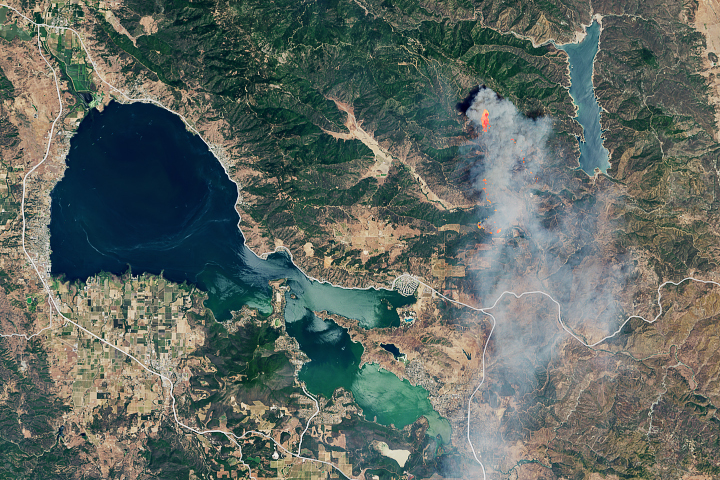 The Perry Fire was one of 98 large, active wildfires burning in the United States on July 30, 2018. 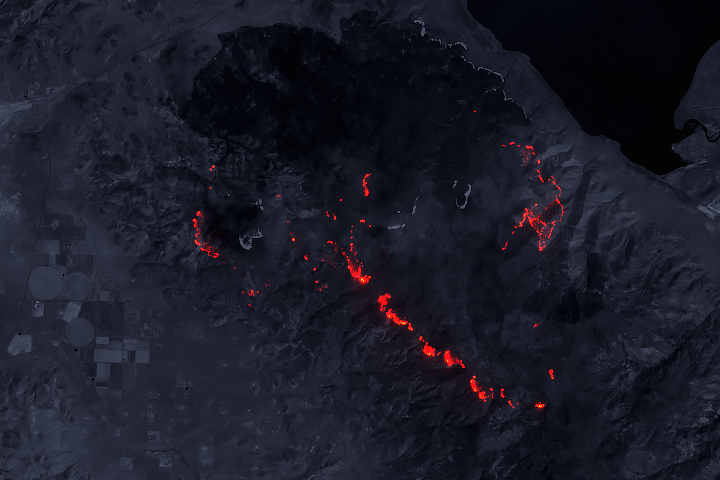 While this fire north of Reno, Nevada, was not the largest or most destructive, the position of its smoke plume on July 29 allowed for a clear look at the burned area from space. On that day, the Operational Land Imager (OLI) on Landsat 8 acquired these images of the fire. 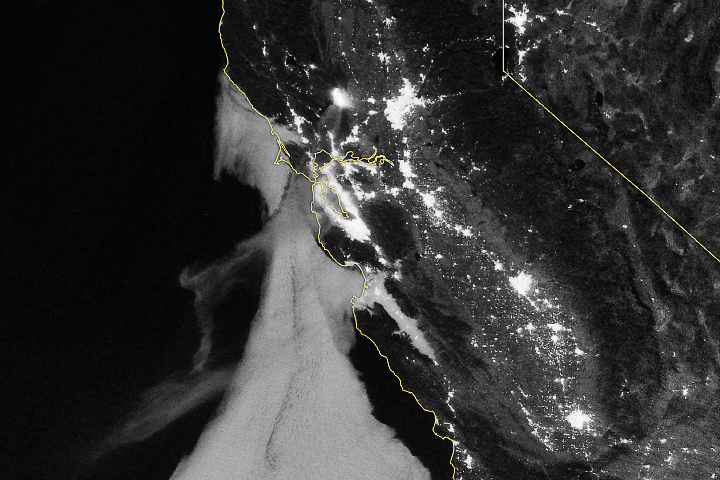 The images are based on observations of shortwave infrared and green light (bands 6-5-3). 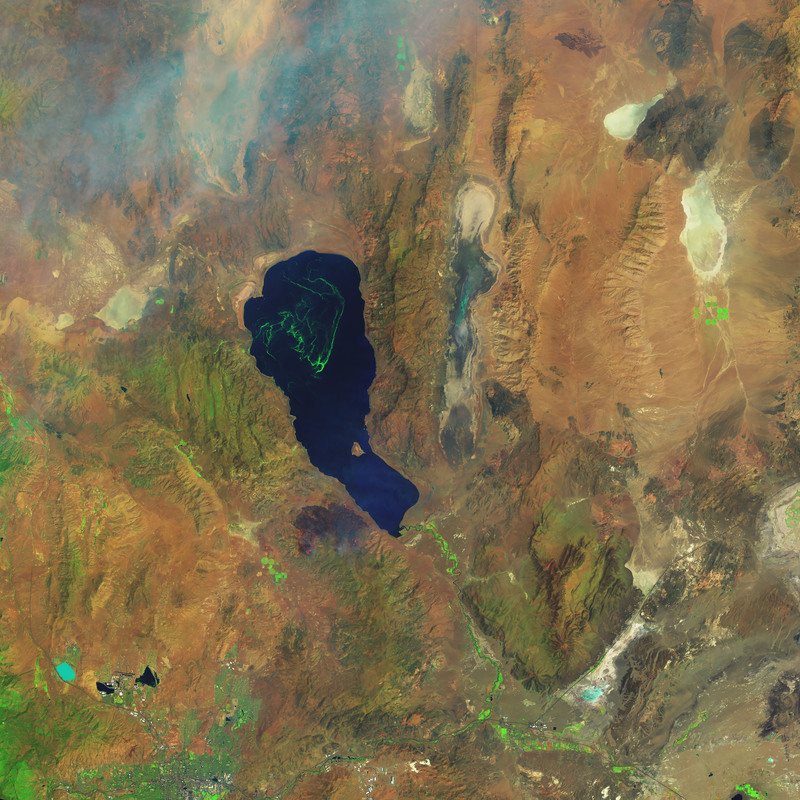 The brighter image was acquired at 11:38 a.m. local time. 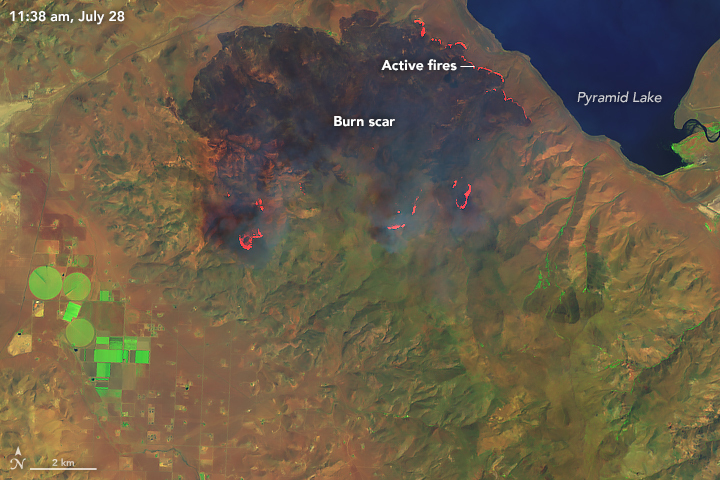 The darker image shows shortwave infrared light from the fire at night (10:43 p.m.). 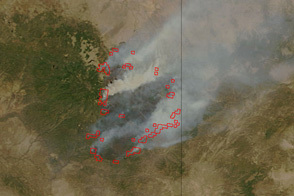 Notice how the front of the fire has moved toward the south and southeast. 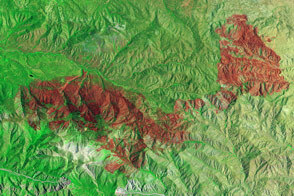 As of the evening of July 29, the Perry Fire had burned about 25,600 acres and was 15 percent contained. 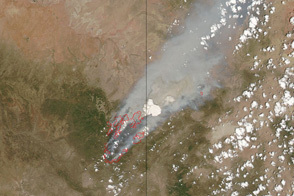 InciWeb (2018, July 29) Perry Fire. Accessed July 30, 2018. 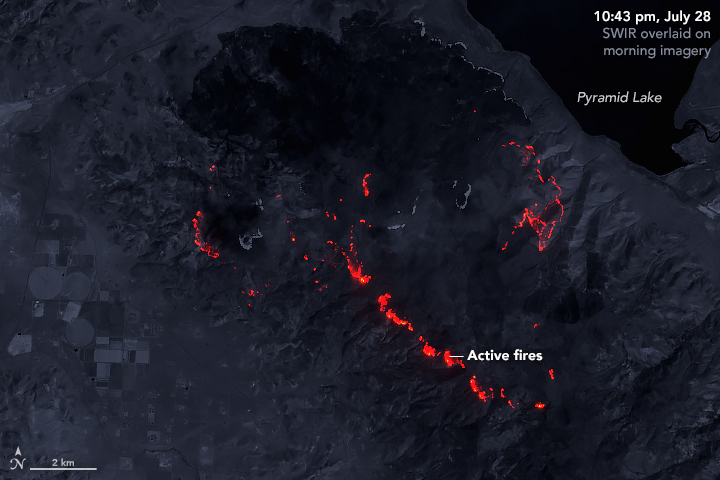 NASA Earth Observatory (2018, July 30) Wildfires Blanket Western States With Smoke. 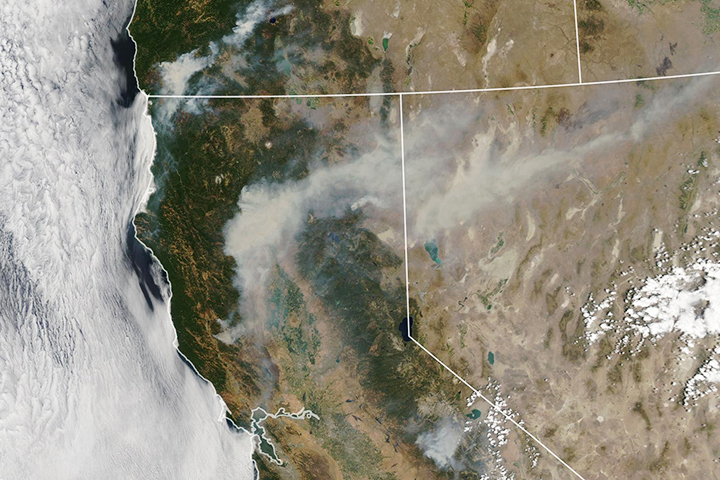 Reno Gazette Journal (2018, July 29) UPDATE: Smoke stifling Reno is going to stick around all week. Accessed July 30, 2018.